Specializing in historic reproductions, Seaquay Architectural Millwork Corporation is a custom manufacturer of wooden windows and doors. Our products are manufactured to meet or exceed the specifications identified by the design professionals on each of the projects we produce. Seaquay employs state-of-the-art CADD technology for engineering and design. Seaquay's manufacturing process combines old world style craftsmanship, with computer aided CNC manufacturing, to create historically sensitive and accurate products that set standards for air infiltration, water penetration and design pressure in our industry. 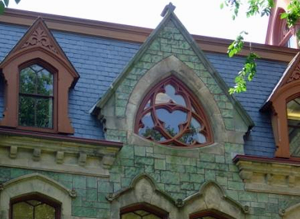 Seaquay Architectural Millwork Corporation is a custom manufacturer of wooden windows and doors, specializing in historical renovations. Seaquay is located in Bridgeport, Pennsylvania, just 20 minutes outside of Philadelphia. We deliver within a 250 mile radius to all of Pennsylvania, New Jersey, New York, Delaware, Maryland, and Washington D.C. With historical experience dating back to 1980, Seaquay's production facility has been serving the architectural community since 1990. The state of the art shop facility covers 25,000 square feet. Our state of the art CADD technology for engineering and design is combined with old world style craftsmanship in the creation of products for modern sensibilities.